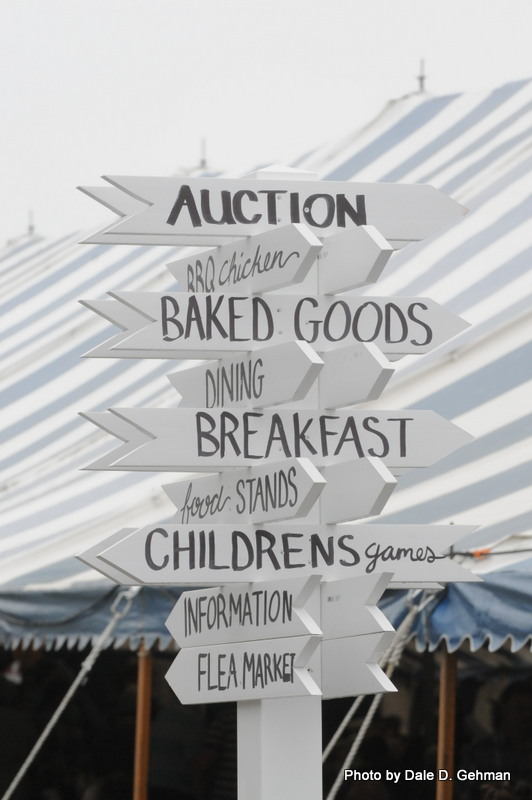 On Saturday, September 8, Fairmount held its 29th Benefit Auction & Barbecue—an annual auction that draws thousands of people to our scenic hilltop campus. Hundreds of items, including colorful quilts and comforters, wall hangings, creative theme baskets, specialty items, gift certificates, new furniture, plants, and special theme meals called Dining for Dollars events were available through a silent auction. Bidder registration began at 8:00 a.m. for the two simultaneously running auctions. In addition to the two main auctions was a Children’s Auction at 1:45 p.m. There were many other activities to interest children as well, including barrel train rides, games, and prizes. However, the most anticipated attraction was the candy drop from an ultra-light plane at 10:30 a.m.
An abundant supply of food was available throughout the day, starting at 6:30 a.m. with a hearty breakfast by the popular Big John’s Catering. Delicious barbecue chicken dinners were available in addition to many other food stands, including 5,000 donuts made on site, fresh-cut French fries, soft-serve ice cream, soft pretzels (made while you watch), subs, ham and cheese sandwiches, roast beef and Swiss cheese sandwiches, hand-squeezed fresh lemonade, homemade baked goods, and much more. Again this year, a self-serve salad bar was available as a healthy food option, along with fresh fruit cups and smoothies. Not only does Fairmount’s 29th Annual Benefit Auction and Barbecue provide an enjoyable experience for all who attend, but it presents an opportunity to support a worthy cause. Proceeds from the auction will go to the Sharing Fund, which helps to cover the cost of care for residents who have exhausted their financial resources. Pictures from the auction may be viewed below.